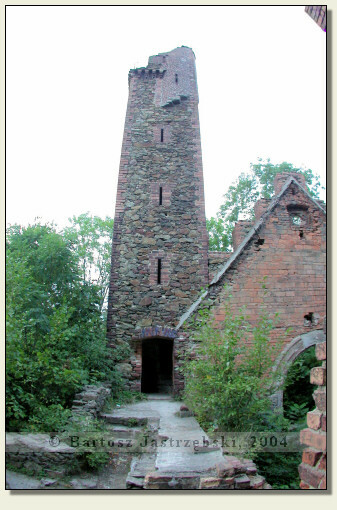 State of preservation: The ruins from the XIXth cent. 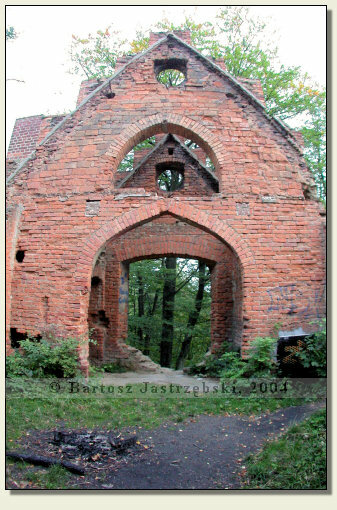 Driving down the road no 30 from Jelenia Góra to Zgorzelec, after 33 km you cross Biedrzychowice, in which you need to turn left for Leśna. After entering the village Zapusta you have to, on the left side of the main road look for a narrow, field road leading to a small footbridge (in the bush, below the level of the main road). When you find it you have to turn into that road, cross a footbridge and drive on down the concrete slabs until the car suspension allows. 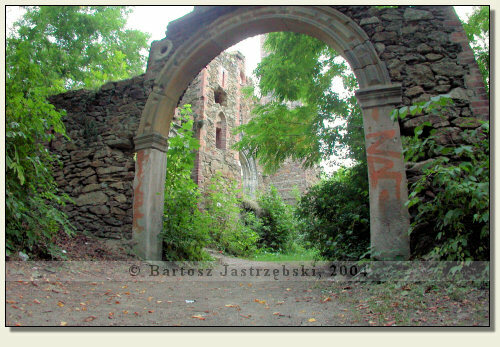 Further walk straight ahead, and at the fork of the paths walk to the right, as far as the ruins of the castle. 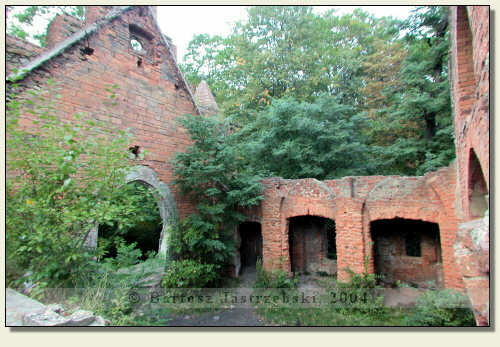 The castle in Zapusta (or as some sources give, in Rajsko) was built by the prince of Świdnica-Jawor, Bolko I in the second half of the XIIIth cent. A precise fate of the stronghold is unknown since probably at the start of the XVth cent., in the time of Hussite Wars, was captured and destroyed. 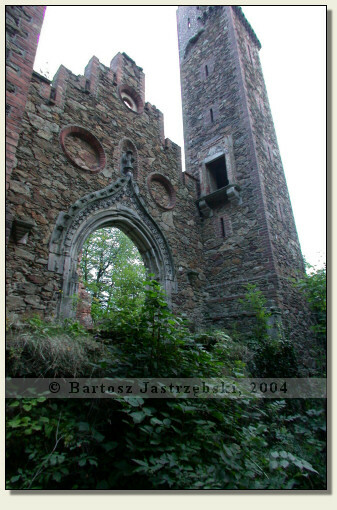 In 1863 the remainders of the castle were bought by the count Aleksander von Minutoli, who was famous for his love for art. In the years of 1875-1878 he rebuilt the castle and placed numerous works of art in it. The part of the collection was lost after the World War II, whereas rescued exhibits were moved to the palace in neighboring Biedrzychowice, which also belonged to the count. 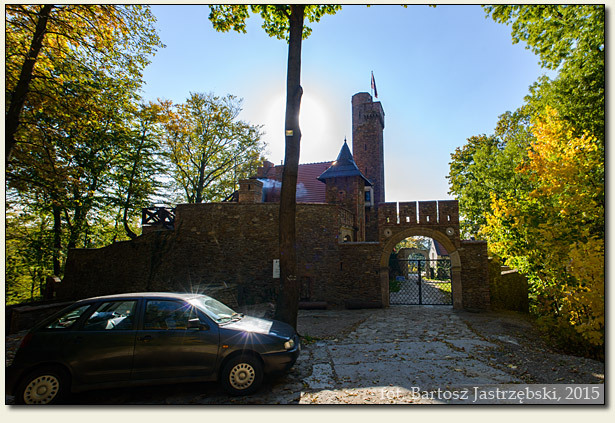 After the death of Aleksander, the castle was inherited by his daughter, who leased to Lubań Association of Youth Hostels. After the following reconstruction the castle fulfilled the function of a hostel. 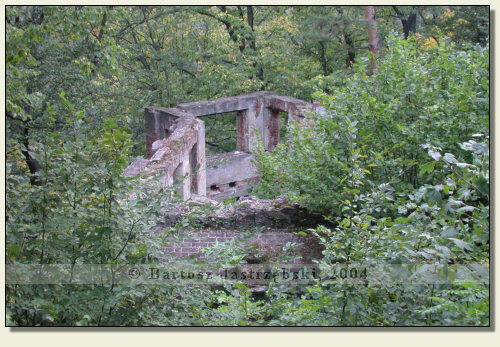 Devastated and looted in 1945, a stronghold remains in ruin up to this day.